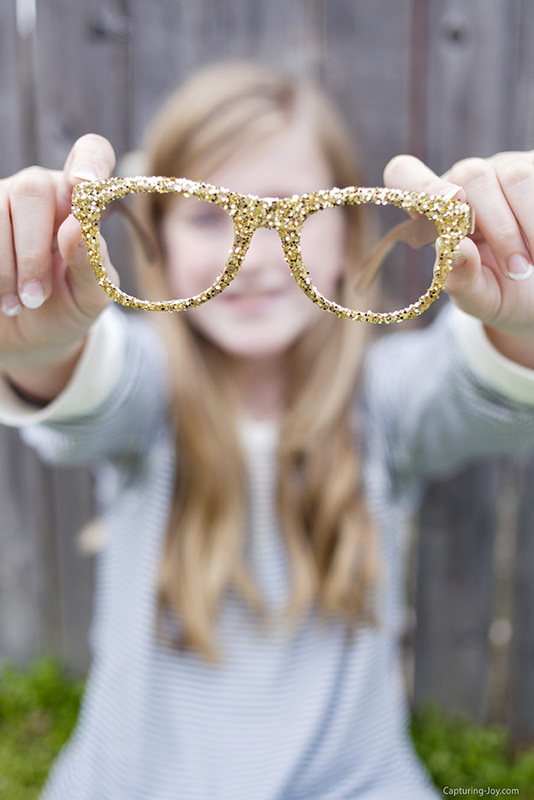 How to make Glitter Glasses just for fun! 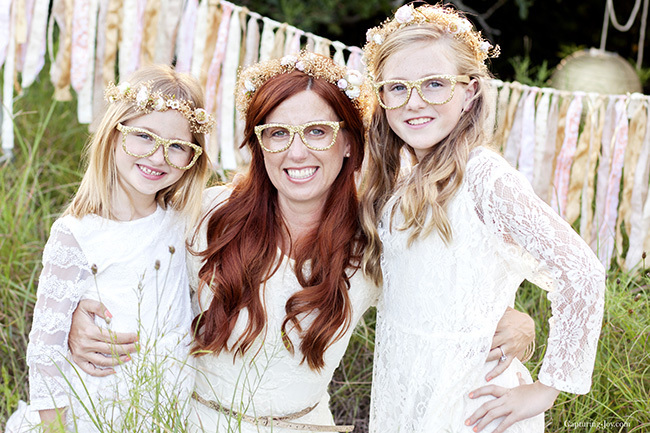 A year or so ago, I stumbled upon a blog called The girls with the glasses, and I became enamored with their style, and the glitter glasses they wore. 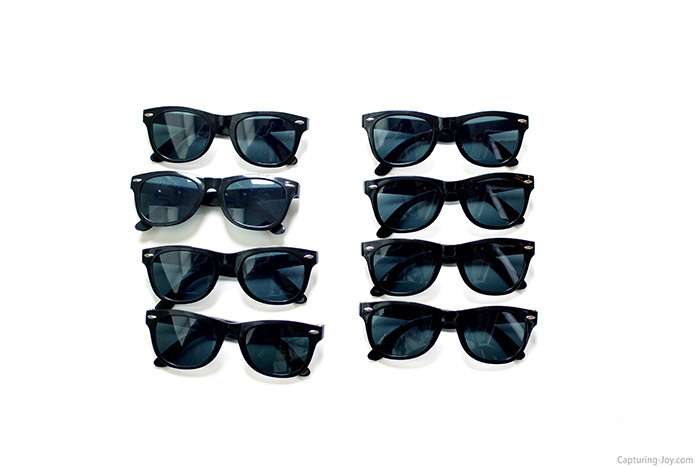 It seems in the past few years, glasses have been very cool. I remember in 3rd grade, when I was directed by doctors to wear glasses, they were most definitely not so cool then. Last summer, and I became a woman on a mission to find some gold glitter glasses, but they were not to be found. So, I decided I was going to make them. My girls and I wore them in my 37th birthday shoot, and I even gifted them to a few friends (see below). 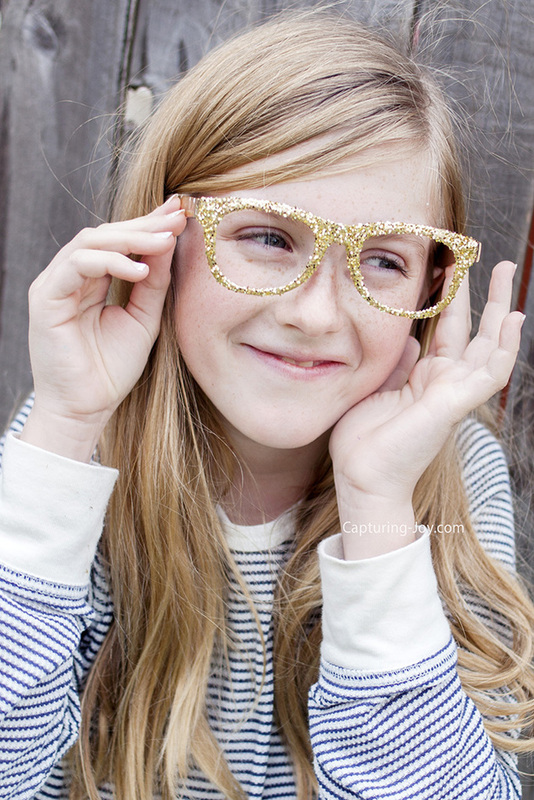 Today, I shall share how my gold glitter glasses came to be, and how you can make a pair of your own! Back to the 3rd grade….I hated my glasses. I was told to wear them in class, and one day, my teacher, Mrs. Jackson, asked me why I wasn’t wearing them. I said I left them at home. She asked me to bring her my backpack, and I started to cry. Of course, I was lying, my ugly bottle glasses where in their floral case in the front zipper of my backpack. I brought more attention to myself with my tears, and had to wear them the rest of the day. I don’t know how long I wore those things, but miraculously (and seriously) my eyesight improved and I no longer needed to wear them. Today, I have perfect vision. As I stare at this computer screen day after day though…I can feel them getting worse. Time will tell. 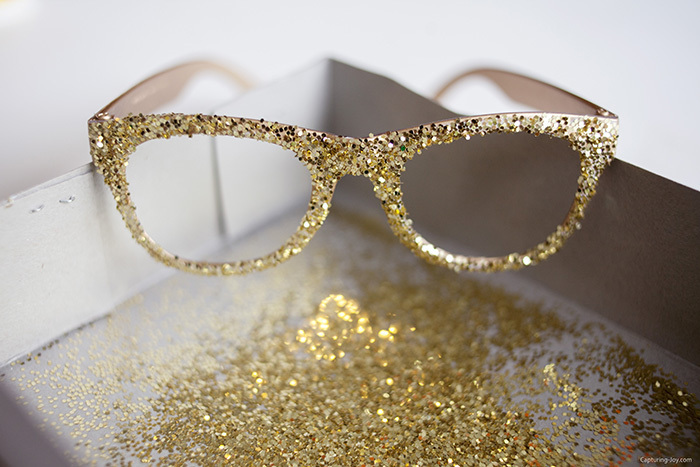 Back to the glitter glasses. 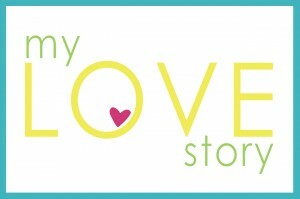 I’m in love with them, and I hope you love them too! They are just fun…and silly…and pretty! 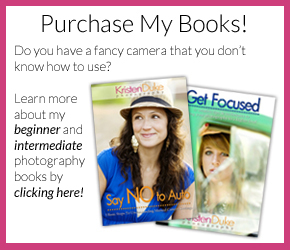 The glasses are very inexpensive, purchase a dozen on Amazon (affiliate links below) and just pop out the lens. After the coating, let it dry! Voila…cuteness! If only I had these glasses in Mrs. Jackson’s 3rd grade class. Just for the record, I’ve tried glitter spray paint in the past, and I’m not a fan. The real glitter glued on, gives much more of a glittery impact! Under $10 for a dozen, less than $1 each! 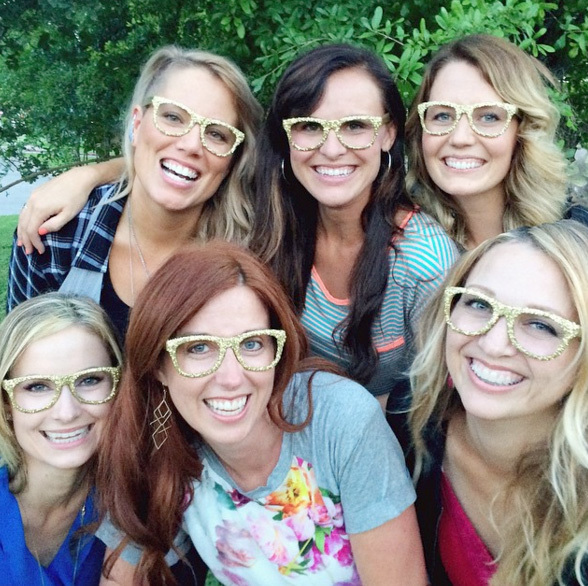 When I made the glitter glasses last summer, I took some fun pictures with my girls (click to see more) and my girlfriends! 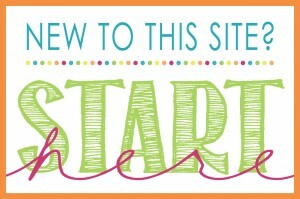 Now grab some glasses, and declare a craft day with the kids or your friends, or make them as gifts! They are SO fun!